What's Causing The Apple iPad 3G Shortage? If you're planning to trot down to your local Apple Store this weekend and buy a shiny new iPad 3G, don't bother. Apple's retail outlets across the U.S. have already sold out of the 3G models, which went on sale just last week. Apple Insider first reported the shortages Thursday. And on Friday more than a dozen Apple Stores, including ones in Boston, Chicago, Denver, Los Angeles, Miami, New York, and San Francisco, said they're fresh out of 3G models, according to Business Week. Apple is allowing customers to put their names on a waiting list, however. My local Apple Store in suburban Los Angeles gave me the same bad news when I phoned Friday afternoon. A store clerk said he didn't know when new iPad 3G models would arrive, and added that the Wi-Fi models were limited to the low-end 16GB unit priced at $499. Obviously, the iPad has been a smashing success. 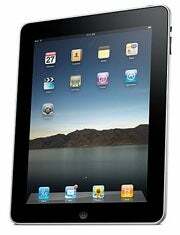 Apple on Monday announced it had already sold 1 million iPads just 28 days after the tablet's launch. By comparison, the iPhone was on the market 74 days before reaching the million mark. It's possible the iPad's popularity surpassed Apple's rosiest sales predictions, hence the temporary shortage. Theory two: Apple is preparing to launch the iPad internationally. The tablet will debut May 28 in nine countries, including Australia, Canada, France, Germany, Italy, Japan, Spain, Switzerland and the UK. In July, it'll arrive in Austria, Belgium, Hong Kong, Ireland, Luxembourg, Mexico, Netherlands, New Zealand and Singapore. The U.S. shortage may be a result of Apple stockpiling iPads for its international markets, thereby assuring a steadily supply of tablets across the globe. Some analysts believe the shortage may caused by a shortage of touchsceens used on the iPad, Business Week reports. And then there's the cynic's view: There are plenty of iPads, but Apple has constricted supply to create an artificial shortage, thereby assuring news coverage and heightening an already insatiable consumer demand.